A photo of some footballers in Brighton. We think the goalkeeper (?) is Harry Wickens and one of the others is his cousin Jack. 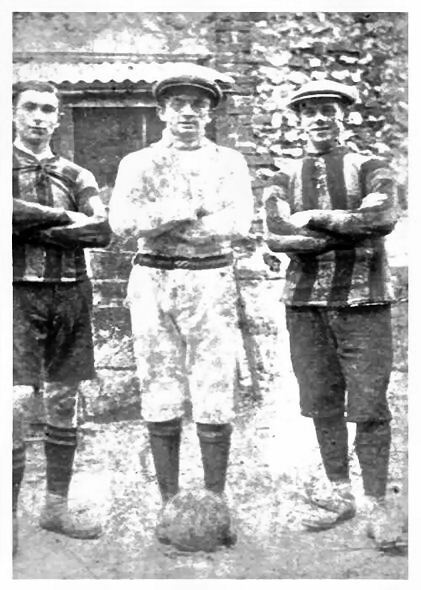 The photograph is from the Bachelors and Married men football match held at Rottingdean or Brighton in early 1890. One of these men is Harry Wickens but I do not know who the others are. I was told one of the identical two is Harry and the other is his cousin. Harry captained the Married men and his cousin the Bachelors. Does anyone recognise this photo or the people in it? Please post a comment below if you can help.